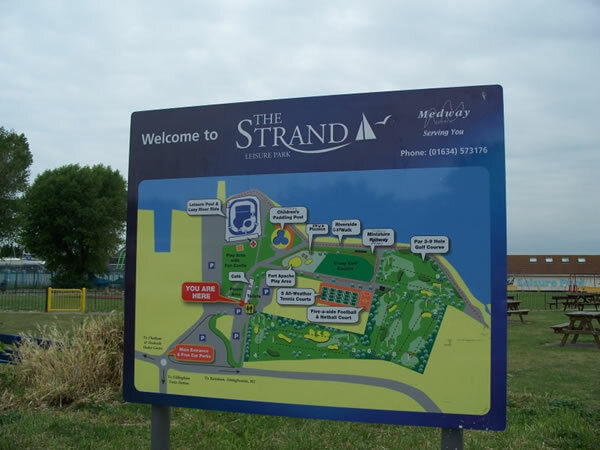 Open daily from 10am, the Strand Leisure Centre has incorporated Footgolf in to its repertoire of Sports available. Just 0.9 miles from Gillingham train station, this is a hugely convenient course for Kentish Footgolfers. The 963 yard Par 36 course can be enjoyed over 9 or 18 holes and is known for being particularly family friendly. All of the other facilities of the Leisure Centre are available for players to make use of, including the café for refreshments. Footballs are provided meaning you can simply turn up and play. No particular skills are needed for Footgolf, just a sense of fun and a readiness to give it a go. The rules are very similar to that of Golf, but this is an inexpensive sport that can be played by anyone. Give it a go, we’re sure you’ll enjoy yourself. There are currently no group offers available.